Detroit mayoral candidate Ingrid LaFleur, via Facebook. On Stephen Henderson’s “Detroit Today” talk show on WDET, a caller asked Ingrid LaFleur what she’d do about crime if she were elected mayor of Detroit. “What kind of crime? There’s the crime of having taxes be improperly assessed, where people are losing their homes. There’s the crime of shutting off water,” she responded. Candidates for office in Detroit aren’t supposed to talk like that. So Henderson made sure he got her to acknowledge the obvious fact that murderers must be punished. But when it comes to almost any issue, LaFleur doesn’t just think outside the box – she questions whether the box can still hold anything. On Friday evening, LaFleur’s campaign event wasn’t a $100-a-plate fundraiser with movers and shakers. It was a couple dozen folks in a North End event space carved out of an abandoned garage brainstorming about how Detroit could make an economic engine out of its always-thriving music scene. Berlin, Germany’s economy makes millions a year off tourism based on venues featuring Detroit-made techno. Why, LaFleur wonders, can’t Detroit support its artistic community and build an economy around what our talents produce? At the DIA, LaFleur curates a film series on Afrofuturism – an artistic movement she’s deeply involved in. 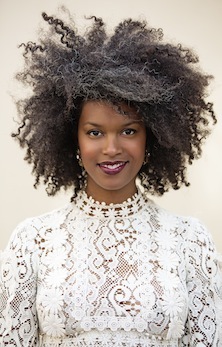 She bases her campaign on ideas about making Detroit into “Afrotopia” – a majority-black city that fully supports and empowers its citizens to create a new sustainable economy from its abundant artistic and human resources. To get there, she’s busy rethinking how government should and can work. 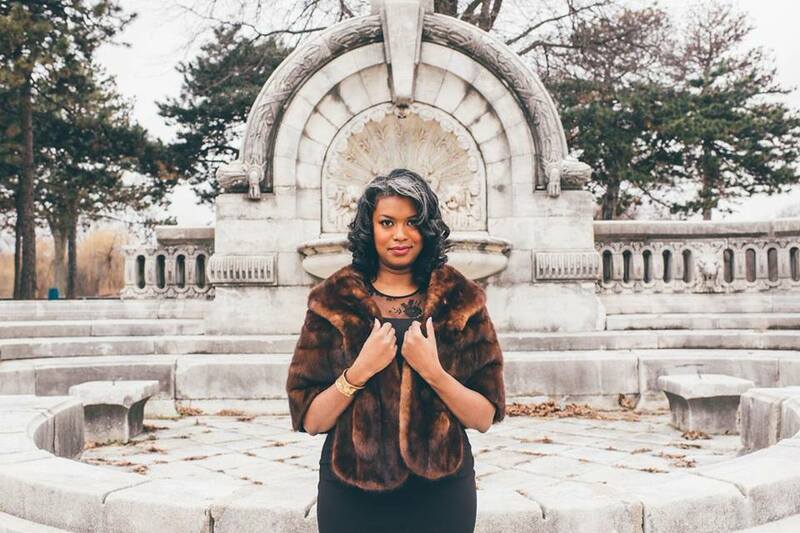 “Our institutions were not created for black bodies to thrive and grow,” she says. Politicians for so long have deceived and betrayed Detroiters that they’ve come to expect it. Many people can’t think of how the city needs to change, she says, because they’re struggling to feed a family and keep a roof over their heads. LaFleur is grounded on such fundamentals even as she imagines the city having a cultural affairs department and a “night mayor” who will make an entertainment economy work by insuring accessible transportation and safe streets after dark. How does she expect to succeed without support from the black churches which have long been the power brokers delivering votes to candidates in Detroit? She says she’d love to talk to any congregation and says she’s already been buoyed by the reception she’s getting from all corners—even some pastors. That’s a surprise, since her platform includes making a legalized marijuana industry into an economic driver in Detroit and exploring how “cryptocurrency” might work here in a future where the city houses global warming refugees from the burning Southwest and the flooded East Coast. It’s not the kind of talk you’d imagine emanating from the pulpit. The League of Women Voters hosts a mayoral candidates forum at the Detroit Public Library main branch Friends Auditorium tonight (Tuesday) 5:30 p.m.-7:30 p.m.
LaFleur hosts a “co-creativity” discussion on cryptocurrency Wednesday 7 p.m.-9 p.m. at her campaign office, 16909 Livernois just south of 6 Mile.